Extract information (when available) from YellowPages.com: business name, street address, city, state, postal code, phone, fax, mobile, e-mail, business general information, directory link URL, official website URL, latitude, longitude, categories, payment, services, languages, rating, reviews. Extract contact information (e.g. email, phone, fax, mobile, facebook) when available from business website. States filter data extraction. More business listings will be harvested. Support custom proxy and proxy rotation list. Proxy scraper tool provided to scrape live proxies faster and easier. Multiple extraction entries in queue. Auto resume from last extraction milestone due to unexpected interruption such as power failure, internet connection loss, pc shutdown, etc. No data will be lost and no need to restart the extraction from the beginning. Adjustable number of concurrent extraction processes for slow, normal and fast pc. Pause current extraction process, export extracted data and continue extraction process. Export to Excel workbook (.xlsx file). Automatic remove duplicate business records. Real time display of records extracted. Ease of use. No programming skill and html knowledge required. Q: In check out process, is it necessary to fill in all registration information before proceeding to Paypal payment process? A: This is currently the limitation of our payment system. When checking out, the simpliest way is to select Guest Checkout. Make sure you enter your email correctly since it will link to Paypal for payment next. For the rest of fields, just enter anything. Q: How should I contact if I have questions regarding the product? A: For any questions regarding Yello, please contact service( AT )teamonestudio( DOT )com. Q: Is the license period counted in 'working' day or in 'normal' day? A: The license period is counted in 'normal' day. Q: Is there a grace period when ordering a new software license? A: There is a 3 days grace period for each software license order. For example, when we receive an order with license period of 1 month on 2 May, we will release the software license which expires on 2 May + 3 days. i.e. 5 May. This means it will expire on 6 May 12:00 am. Q: What will happen when the software license is expired? A: When the software license expires, the application reverts back to default trial license mode. 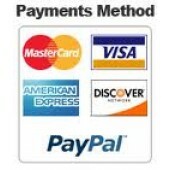 Q: What is the payment options? A: We accept payment by Paypal. Q: Any prerequisite before install and run Yello? A: Make sure Microsoft .Net Framework 2.0SP2 is installed before running Yello. Q. During the first time Yello is run, windows firewall (or third party internet security and firewall software product installed at my pc) will prompt me to allow or to block Yello to connect to internet. Should I proceed and allow the connection request? A. One of the main function of windows firewall (or third party internet security and firewall software products) is to prevent malwares and viruses from connect to internet and sending out sensitive information. Yello is not a malware or virus. During the first time Yello is run, it will connect to target yellow pages website. This activity will be detected by windows firewall (or third party internet security and firewall software products). When a dialog box prompt to ask whether to allow or block Yello to connect to internet. Just easily select to allow this connection request. Q: What should I do if there is issue or problem when running Yello? A: Please report it to service( AT )teamonestudio( DOT )com. We need steps on how to reproduce the issue or problem. If the steps will not cause the problem every time, please let us know. The contact information (business name, business address, province, postal code, phone, fax, mobile, e-mail, etc.) can be obtained only when it is visible and available from the source webpage. For example, not every business listing shows their email addresses. Yello won't get full details for every listing, only what's been submitted by the business to the yellow page site and its own official website. TeamOne Studio All Rights Reserved.